"A compelling call to action for a renewed American focus on savings and retirement preparation! Living comfortably longer, as my father told me, can be the ultimate payback for a life of thrift, and he proved it for 29 retired years until he passed just before his 94th birthday. This book should light the fire in the public to embrace thrift, savings, and retirement planning." 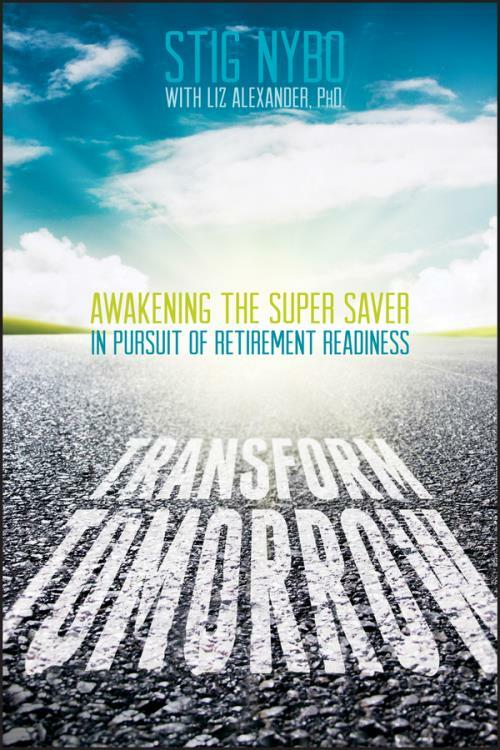 "Transform Tomorrow is a passionate call to action for all Americans to elevate the task of retirement planning into their daily lives! It is a wake–up call for plan sponsors; policymakers; the retirement industry; and, of course, employees who participate in 401(k) plans. We all need to learn and adopt the habits of Super Savers!" "Stig Nybo′s excellent treatise, Transform Tomorrow, provides a crucial component in the national debate on retirement readiness, namely perspective. His insights, gleaned from years of seeing the retirement issue played out from the inside, should be a must–read for policymakers as they tackle one of the most important social and financial issues facing the country today." "This book addresses the need for a Retirement Readiness Campaign that helps people know what they need to know, shows them how to use the tools they need to use the information, and motivates them to action. We hope the ′Transform Tomorrow Campaign′ moves quickly to assist the millions of Americans who are waiting for help to understand the complicated choices ahead and avoid financial potholes in old age." "Transform Tomorrow is a book that all Americans, especially those entering the work force, should read. In a consumption–driven society, the message that Stig Nybo delivers should have all of us questioning our short– and long–term goals lifestyle, health, and financial. Early in the book, Stig′s reference to past Public Service Announcements sets the stage for how wholesale change in the U.S. can actually become reality. Transform Tomorrow lays out a blueprint that will allow Americans to retire with financial security and dignity."